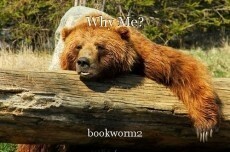 This free verse poem happens to be what a bear would be asking himself about why he's not relaxing while on vacation. So we husbands are bears??? Just kidding I really like your piece!